Brightwater communities are meticulously managed to ensure that your daily experiences are always up to our ever-raising standards for quality and care. Capable and compassionate senior care professionals help to ensure that the memories made at Brightwater are always filled with kindness and mirth. Since 1996, Quintin King started working in the senior housing industry with direct experience in accounting, finance, and operations. 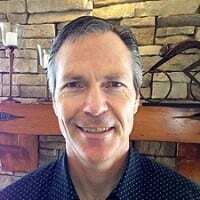 He started his career with Holiday Retirement, the largest privately held senior housing companies at the time in North America where he played a key role in the re-implementation of back office accounting systems and processes. In 2000, Quintin joined one of the big six public accounting firms within their business consulting practice focusing on large and complex projects. In this capacity he specialized in strategic planning, system implementations, and process reengineering. He then rejoined the senior housing industry in 2005 as the Chief Financial Officer for one of the top 20 senior housing management companies in the US before partnering in a similarly sized senior housing company in 2010 as the Chief Financial Officer. During his tenure there, Quintin took on the added role of Chief Executive Officer for the company while bringing the company to its highest performance levels since inception. Quintin is a graduate of Oregon State University with a B.S. degree in Business and Accounting. 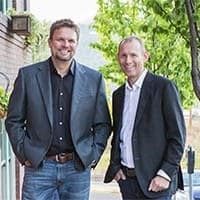 Steve Yates and Randall Corwin are the founders of Brightwater Senior Living. Prior to launching Brightwater Senior Living, Randall Corwin acted as a skilled nursing home administrator and a regional director of operations for a large national senior housing company. He then went on to operate a senior housing company for a period of ten years in partnership with a group of principal investors and founders from one of the largest privately held senior housing companies in the U.S. and Canada. Steve Yates has spent his career involved in senior housing, heavy civil construction and senior housing development/construction where he owns and acts as president of a civil construction company in partnership with his brother, and works on the continued development and operational functions at Brightwater Senior Living. Experience is a key component to Brightwater. Our team has expertise in the design, construction, and operations of senior communities throughout Canada and the U.S.
At the core of our business is a strong commitment to provide an exceptional, loving and stimulating environment for our residents. How we fulfill this commitment is by partnering with a staff that has a warm, considerate and helpful spirit. People who have these qualities really do make the best staff and, with these attributes in place, the balance of the work then comes naturally. When it comes to our communities, our mission is to continue creating environments where residents can live the way they have always lived and, in some cases, in a way they have always dreamed of living. For many of our residents in years past, spending time with family and friends may have included outings like grabbing a burger and then going to the movies for a little fun and entertainment. Well now at Brightwater, you can do just that. Like a great cup of coffee or a relaxing massage, we are continuously looking for new ideas that not only make our communities functional but have a way of capturing the experiences in life that provide moments of joy. We are inspired to create retirement communities made for living. So invite your friends to get together at Spa W to have your nails done, or play a round of billiards in the Bistro. From indoor-outdoor living designs that capture the best of what more temperate climates have to offer or providing bistros where residents can relax with a slice of pizza while they take in the big game with their friends, we have a passion for creating atmospheres that are designed for living. From the outstanding Brightwater staff to the joys of experiencing an elegant and livable community, we welcome you to Brightwater Senior Living. Kevin Tell’s business and development activity has included the operation of Cindercrete Products and land developments within Regina and Saskatoon, Saskatchewan. Since 2000, Kevin has participated in the development of single family, multifamily, commercial space, and senior housing including independent living, assisted living, personal care, and memory care communities. 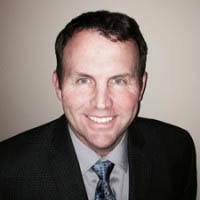 Kevin provides an integral component to the endeavors of Brightwater including a combination of industry knowledge and resource. Brian Yates has been instrumental in the growth and operations of a family-owned heavy civil construction company for 20 years. He has been an active real estate investor for sixteen years including commercial, multi-family, student, and senior housing. In 1998, Brian and his brother, Steve Yates, developed a senior community including independent, assisted, and memory care living. In late 2007, Brian sold his interest in the senior housing projects to an REIT. His direct responsibilities for Brightwater Senior Living include acquisition, development, and finance functions. Charlene Calder joined the Brightwater accounting team in December 2014. She graduated from California State University, Hayward with a Bachelor of Science in Business Administration with an Accounting emphasis. 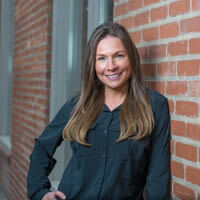 She has over 11 years of accounting experience in both the public and private sector. Construction accounting is her primary focus for Brightwater, as well as assisting with other various projects at Brightwater. 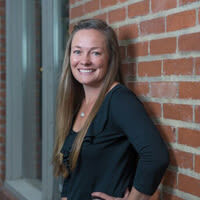 Teri Sherman joined the Brightwater accounting team in December 2014. She has over 30 years of financial experience in various industries, and now returns to the senior housing arena. Her main focus for Brightwater is Cash Management, Banking Relationships, Human Resources, Operations Accounting. 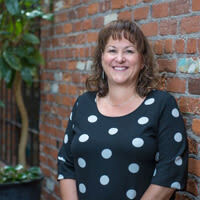 Tamara McKie is a Washington State University graduate with an emphasis in Social Sciences that has worked in senior housing for the past 10 years focusing in areas such as property management, accounting, marketing, and for the Brightwater team, plays a key role of addressing vendor relationships, contractual arrangements, regulatory compliance, marketing, and community operations support. 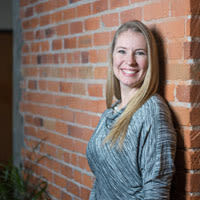 Kim Griffin joined the Brightwater Team in early 2018. She brings with her to Brightwater over 20 years of work in the medical field ranging from clinical to administrative experiences. Her primary focus for Brightwater is supporting the communities in compliance with healthcare regulations and to assist in reviewing the daily healthcare operations of the communities. Elysa McDonald joined the Brightwater Accounting Team in January 2019. Before coming to Brightwater she worked in Accounting and Human Resource in the tech industry. She brings over 20 years of accounting experience with her. 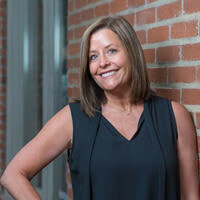 Her main focus for Brightwater will be assisting the Accounting Team with Payroll and Human Resources. 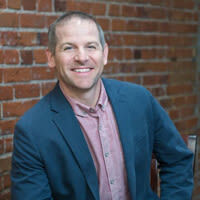 Jason Myhre is a 1996 graduate of Oregon State University College of Business majoring in Business Administration with a minor in Pre-Law. Deciding not to further his interest in law, he began his career gaining invaluable marketing and sales experience working for Xerox and Coca-Cola. 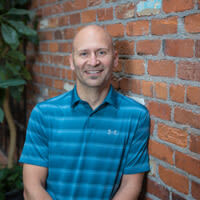 In 2001, he moved his family to Central Oregon to take a position with Loyal Publishing, a start-up publishing house. A year later that company was purchased by Multnomah Publishers, the 4th largest inspirational publishing house in the country, in which he was immediately integrated into a sales and marketing management role. In 2005, he was asked to be a part of a start-up division of Multnomah Publishers that specialized in emergent markets. In less than a year, his team developed a solid business success model only to be met with the eventual purchase of the company by Penguin Random House. Not wanting to move with the purchase, he elected to keep his family in Central Oregon and joined Pahlisch Homes, one of the largest privately held residential construction companies in the Northwest. Over the next 12 years, he worked closely with the ownership team overseeing sales and marketing throughout the planning and implementation of business development strategies. His initiatives and insights were significant in helping Pahlisch Homes through the recession and to grow their brand strength in the industry. His next venture was soliciting and gaining support from the Pahlisch Homes board to create a customer experience company initiative that would position them as an early adopter in the building industry. This initiative mapped out and created synergy for the complete journey of a customer’s interaction with their brand. A year into the initiative he was able to break down company silos and implement programs that improved sales processes, customer care and customer service.